The Southwest Christian School Booster Club provides vital financial and volunteer support to the SCS athletic programs. Through the years, money generated from the Booster Club has funded 100% of game day expenses, purchased essentials like uniforms and equipment, and made it possible to provide the “extras” to take our athletic teams to the next level. 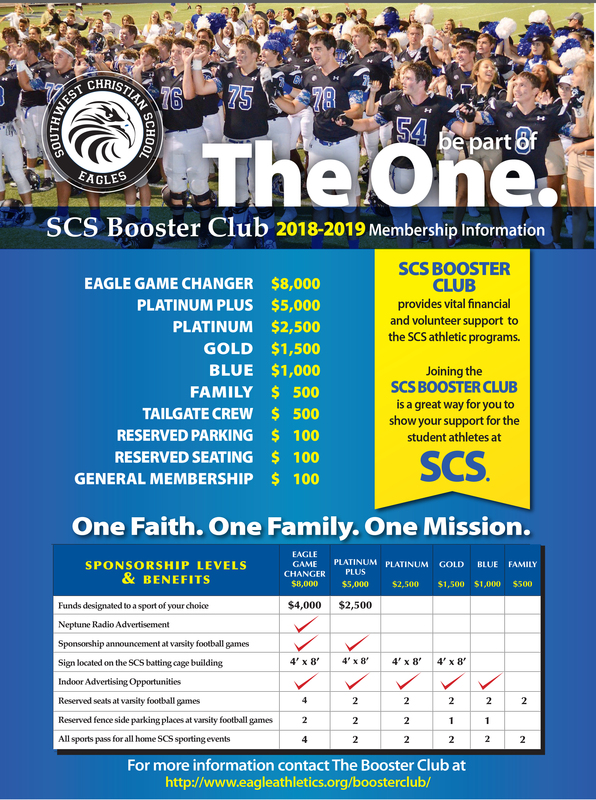 Joining the SCS Booster Club is a great way for you to show your support for the student-athletes at Southwest Christian School. Click HERE to join the Booster Club now!